Derived from deoxycholic acid , Kybella is injected into treated areas with a fine needle, where it destroys fat cells. 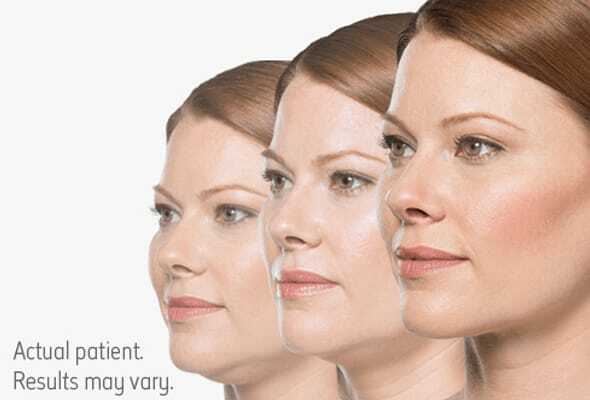 Deoxycholic acid is found naturally in the body, and its use in reducing fat in the chin area has been clinically tested and is FDA-approved. A series of several small injections are administered into the fatty part of the chin, with the entire session lasting only a few minutes with minimal discomfort. During your consultation, we will assess factors such as your health, medical history and cosmetic goals to help you determine if Kybella injections are right for reducing your submental fat. Kybella is a gradual process and often requires multiple sessions over a series of weeks or months in order to achieve desired results. Although fat cells are destroyed permanently, future weight gain can compromise results, and patients should maintain their weight through diet and exercise in order to maintain the improved contours of the chin.